The Indian company Ranbaxy will resume production of its generic version of the anti-cholesterol drug Lipitor in the United States, according to a Reuters story. The company had recalled the drug, called atorvastatin, in November after particles of glass were found in certain lots. The original Lipitor, manufactured by Pfizer Inc., has also been the source of some safety concerns. Before Pfizer’s patent expired, Reuters reports, Lipitor was the world’s top selling prescription medicine, generating annual sales of about $13 billion. According to the story, Ranbaxy has been under heightened regulatory scrutiny to ensure it meets good manufacturing practices after a series of manufacturing problems. 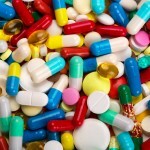 In 2008, the U.S. Food and Drug Administration prohibited the company from importing about 30 drugs after it found manufacturing deficiencies at two of the Ranbaxy’s facilities in India. The company was later accused of falsifying data used in its drug applications.